Yet Delphi and its like rarely provided simple answers. Take the famous example of King Croesus of Lydia. 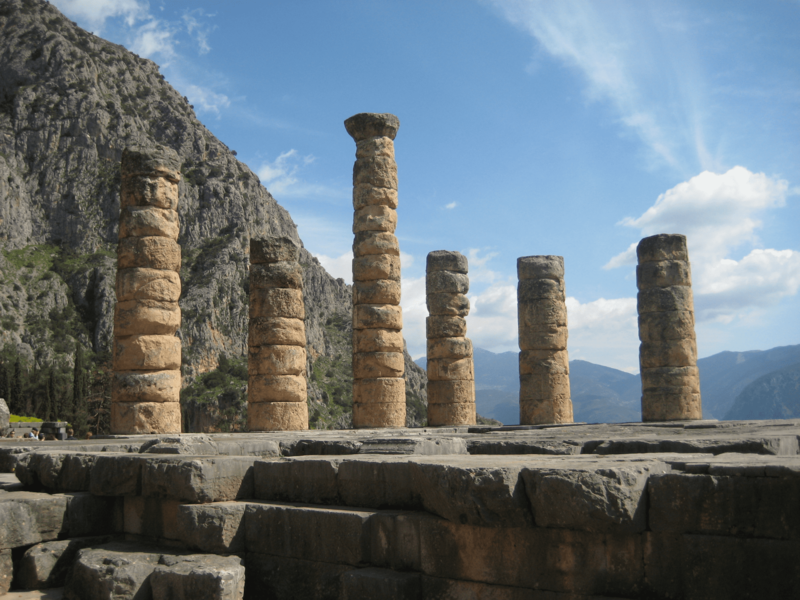 Croesus asked at Delphi whether he should wage war against the Persians. He was told that he would destroy a great empire. Taking the response to predict victory, he launched a military confrontation with Xerxes, Persia’s mighty king. Croesus did end up destroying an empire – his own. On consultation day, people flocked to Delphi to enquire about an eclectic mix of concerns: politics and warfare, of course, but also religion, health, lovesickness, and offspring – to name just a few issues. Among those consulting the oracle were some of the most (in)famous and illustrious individuals of the ancient world. Socrates’s friend Chaerephon enquired whether anyone was wiser than Socrates. Apparently he was told that no-one was. The neurotic Roman emperor Nero, meanwhile, tried to learn the timing of his own death from the Delphic oracle. He was told to “beware of the seventy-third year” and so considered himself safe, but was murdered shortly after by Galba who was – you guessed it – 73 years old. Alexander the Great did not even get to ask a question, arriving at the oracle on a day it was closed and the Pythia declined to deliver prophecies. Yet “no” was never an option for Alexander. How did the Pythia deliver the prophecies? Modern visitors to the oracle are obsessed by the question. Surely there is a secret to be revealed? A mystery to be uncovered? Or at least a clever trick to be unmasked? Interestingly, the ancients themselves seemed entirely oblivious to the “how”. They did not ask – let alone answer it for us in any satisfying way. Was the answer obvious to them? Or was this, perhaps, a religious secret not to be discussed? Whatever the case, for years, the theory that the Pythia was “inspired” by vapours emerging from the ground has fascinated present day visitors of the ancient oracle. In their straightforwardness, these questions resemble those oracles from Delphi which were inscribed in stone right after the consultation and so less likely to be subject to embellishment. Taken together, this evidence illustrates that in the main, very simple questions were asked at oracles – relegating the elaborate tales of prediction and fulfilment to the realm of the imaginary.